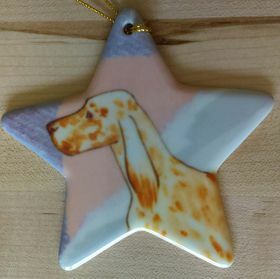 Ceramic ornaments can be hung on a tree, on a desk, in a window, etc. They are approximately 4" x 4". These are a great deal and make great gifts! Price includes shipping in the United States.